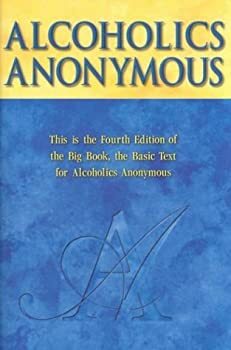 In the Big Book of AA, it tell us, “half-measures availed us nothing.” When I first became sober, I didn’t think too much about this sentence. I thought if I did things half-way, I would be able to skate by. I thought the rules didn’t apply to me, so I didn’t have to follow them. I shared at meetings, so I thought at least I’m doing something. It was suggested I get a sponsor after I got out of rehab, but I didn’t want someone telling me what to do. I was scared if I got a sponsor, this person would take advantage of me. I was fearful they would try to get me to pick up their dry cleaning, wash their car, etc. I was also scared to start working the 12 Steps. I was out of treatment for 3 months before I relapsed. I even went to a meeting the night before I drank. After my horrific night of drinking, and nearly ruining my life, I didn’t have anyone to call, because I didn’t have a sponsor. I decided to pick up a phone list from one of my meetings and call a person I thought I could trust. The person I called was genuinely caring and wanted to meet with me. I met him at Starbucks, asked if he would be my sponsor, and he agreed. He never asked me to do anything ridiculous, and never took advantage of me. He only wanted me to get better. I started working the 12 Steps with him slowly, and he took time to listen to me. He encouraged me to start making new friends in AA, and was there every time I needed to talk to him (which was every day for a while). I understand what “half-measures availed us nothing” means now. For me, it’s understanding that if I want to get better and hold onto the gift of my sobriety, I need to do the work. I need to give my program my all if I want to stay sober. If you would like to live a happy sober life, entering a substance abuse treatment center is the best place to start. The journey of sobriety is not always sunshine and lollipops, but it’s absolutely worth it. The work you put into your program will manifest itself in your life.